Hey, there! Thanks for stopping by today! 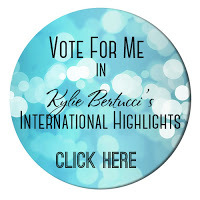 We are being highlighted internationally by Kylie Bertucci, and you can VOTE for my card. 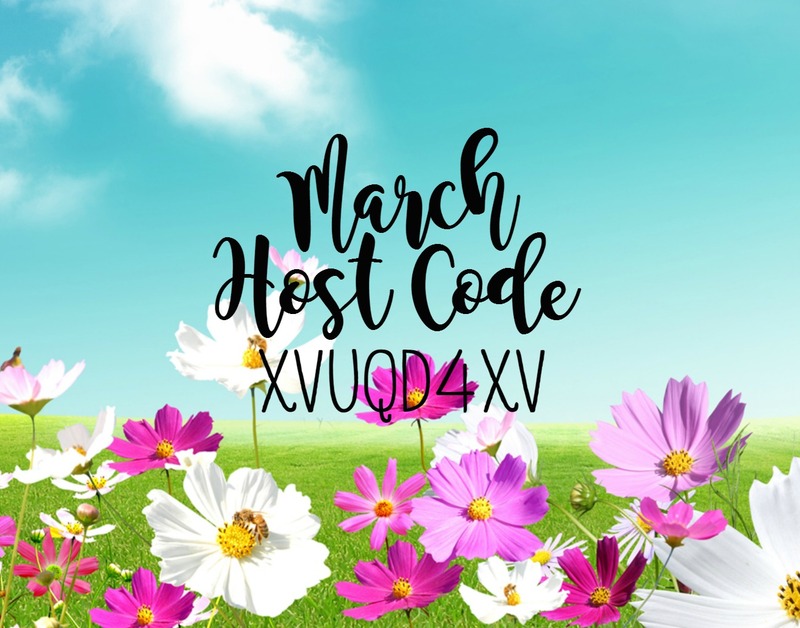 The top ten winners will get to be part of an international blog hop in April, so please do go vote for me. Our theme for this highlight is using the stamp set All Things Thanks. This is a wonderful stamp set with so many gorgeous sentiments. We wanted to highlight how versatile it is. I used the MISTI to stamp my sentiment. I mounted the stamp, inked up the top third of it with Daffodil Delight, and stamped. I cleaned the stamp, then inked up the middle of the stamp with Melon Mambo. I didn’t try to be exact with where I inked the stamp, because I didn’t mind the Daffodil Delight and Melon Mambo overlapping to make that vibrant orange. Finally, I cleaned the stamp again and inked the bottom of the stamp with Daffodil Delight. Lots of overlap of the two colors on this part. I cut out the sentiment with the Stitched Shapes framelits. 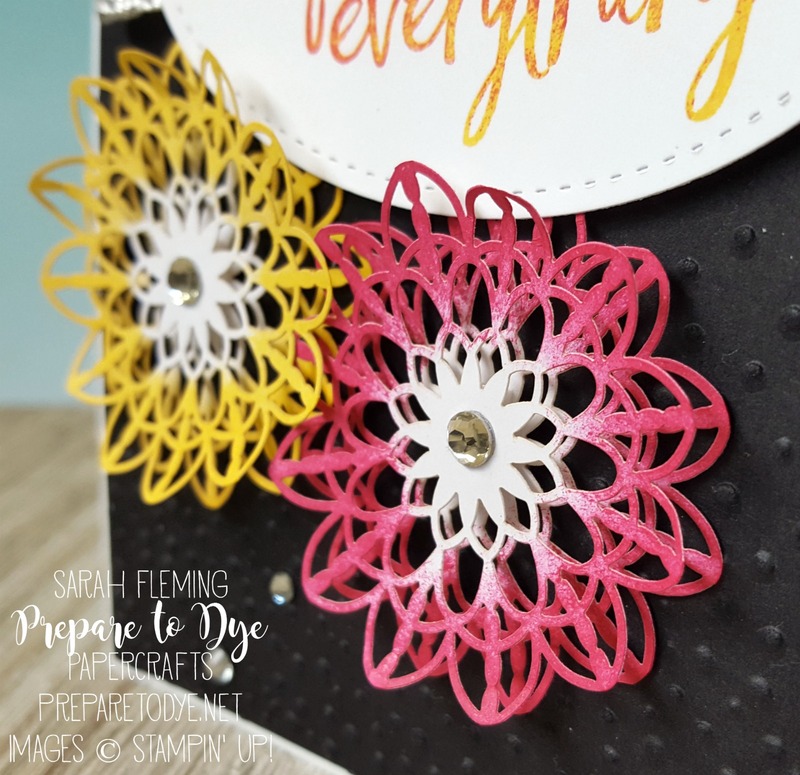 While I was playing around with the stamps and designing my card, the cardstock Lace Doilies caught my eye, and I decided to take a closer look. Then I started cutting them up. Then I got all sorts of ideas. Flowers, snowflakes, more flowers. All of the flowers on my card are cut from the Lace Doilies. 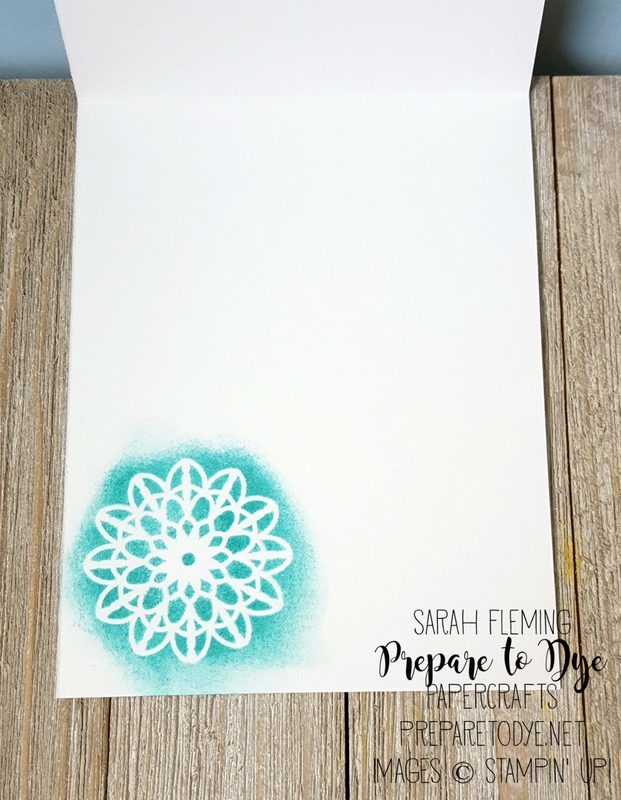 These are Whisper White on one side and Very Vanilla on the other side, and you can sponge the Whisper White side to create any color of doily that you want! I used two doilies for each flower. I sponged all but the centers with Melon Mambo, Daffodil Delight, and Bermuda Bay ink. I stacked the two layers with a tiny, cut-up Dimensional between them. I stuck Rhinestones in the center of each flower to cover up the hole (with exposed Dimensional behind it). To finish off the card, I added a panel of Basic Black cardstock, embossed with the Softly Falling embossing folder, the Sale-A-Bration ribbon (discontinuing at the end of March! ), and some Rhinestones. Don’t forget to finish the inside of your card! I placed a doily flower in the lower left corner of my card and sponged Bermuda Bay on, then removed the flower. Thanks for visiting my blog today; I hope you like my card. Make sure you head over to Kylie’s blog to vote for my card. I would love to be chosen to do the next international blog hop. If you’re in the US, I would love to be your demonstrator! All the links to the products in my online store are listed below. Far Out Brussel Sprout!!! This card is amazing Sarah! Love what you have done with the sentiment, so clever. But those doilies are gorgeous! And the touch of texture in the black background is perfect. Reminds me of a serving plate our main meal was served on at a restaurant last weekend, I thought at the time “this would look good on a card” … Hold on, I forgot this is a comment, not a blog post! :) Anyway, Sarah, love love love your card! Really stunning- It totally pops on the black back ground! Stunning Card Sarah :) You have brought new meaning to Kylie’s hashtag of #loveitchopit .. Well Done! Haha, your blog name is so great! Anyway, I love this card. I love inky techniques like dying doilies and adding multiple inks on one stamp! I LOVE how vibrant your card is, too! You are not afraid to add some color!